Grow, Proclaim, Serve! Incorporates Bible stories, activities, crafts, videos, and games into a full faith experience for children. 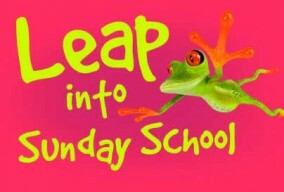 They will develop the skills to unlock the Bible message and grow their faith by leaps and bounds. Colorful, engaging,theologically sound materials invite children to explore the Bible in fun, age-appropriate ways, capturing their attention and ensuring that God’s message is taken to heart. Children will discover that their faith can grow right along with them. Grow, Proclaim, Serve!